That’s how Dave Ray introduces his hiking buddy, Mike Saylor. The two Ohio pastors recently visited ACRES’ office to check out Helen Swenson’s hand-drawn map of Wing Haven, to see the office, and to meet the staff who care for the land they love to hike. And talk about their hiking experiences. Dave and Mike explain that for them, ACRES preserves provide weekday sabbaticals, personal retreats and group hikes. 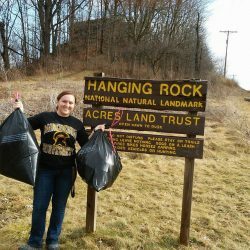 For overnight backpacking trips, they sometimes get away to the Appalachian Trail or the Knobstone, Clifton Gorge, or Hocking Hills. In between, ACRES satisfies their urge to get outside. 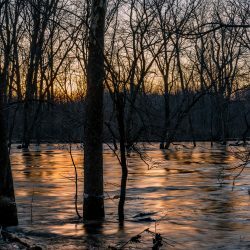 “When we discover a new preserve, we get so excited,” says Mike, pastor of Redeemer Lutheran Church of Convoy, Ohio.“ Beechwood was our first preserve. We were heading to Pokagon (State Park) and by accident literally stumbled on the parking area for Beechwood” (ACRES’ 90-acre Beechwood Preserve is adjacent to Pokagon). “My favorite part about Beechwood is that you’re hiking along the trail and you come to this pond and there’s this bench — the perfect spot to just sit and chill out,” adds Dave, pastor of Jennings Road Church of Christ in Van Wert, Ohio. 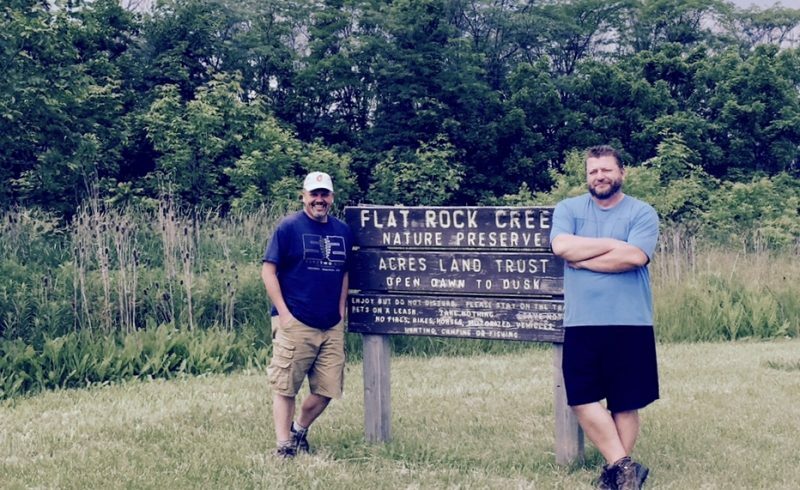 Mike and Dave’s Pokagon hikes also led them to 255-acre Wing Haven, 4 ½ miles north of Angola, Indiana. Together, and sometimes with groups, the pastors are intentionally stringing together outdoor experiences. They enjoy traveling to their preserve destinations — that sense of journey, then stopping for lunch in small-town diners to support the local economy, getting a real taste for the area (in more ways than one). That conversation, that connection, is a journey in itself. “We can’t get to the Appalachian Trail or even the Knobstone every day. There are only so many state parks around for a guy that grew up in the hills of Ohio — and ACRES is much more conducive to the solo hiker” says Dave, who knows that not all hiking is stress-free. He took to group hiking after suffering a heart attack.